In 1984, Bruce Springsteen told Rolling Stone Magazine that he had albums of unreleased songs and that one day he would “put those out because there was good material in there.” In 1998, he did just that, releasing a beautiful 4-disc set of unreleased songs. Being a long-time devotee, I was more than a little impressed that, though it took fifteen years, I could still count on Springsteen to keep his word. As quoted from the book’s Author’s Note above, Mr. Krier has kept to his word and done just that. The Architecture of Community is a seamless read and a comprehensive publication of his architectural and planning ideas crafted over 40 years. The 443 pages read quickly, as more than half of the book is filled with his poignant cartoons, vignettes, and parti. Eagerly, I read the book over the weekend, trying to not bend the corners or dint the dust jacket. However, the book’s pristine condition will not last, as I have already begun to use the book as my primary reference guide for architecture and urban composition and theory. I tend to view my daily professional life as tilting at windmills of conventional architecture and urban design, and Mr. Krier’s pithy cartoons lighten this perception, both literally and figuratively. This book contains well-known images from past books as well as new images, photographs, projects, observations and captions. A missed opportunity in the book is any direct reference to his polemic and inspirational debates with Peter Eisenmann in 1983, which were summed up with this barb, “You can’t, but I can,” in response to Peter stating, “Leon, come on, you cannot build this way anymore today!” Understanding that Mr. Krier’s theoretical position is detailed throughout the book, those series of debates, in my opinion, helped to shape what design means to the United States of America. As discussed in his chapter, The Modernity of Traditional Architecture, “Traditional architectural forms derive from and are conditioned by the use of natural materials.” Today, with sustainability having moved from long-time trend status (such as Watershed Planning and Livable Communities) to radical movement (such as Modernism and New Urbanism), Mr. Krier’s long-time focus on ecological planning and humane buildings is rising up to meet our contemporary needs. The book is published by Island Press (ISBN-13:978-1-59726-578-2). 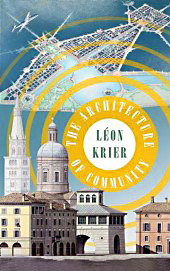 Through simple, matter-of-fact, black and white text and graphics, it comprehensively illustrates how Mr. Krier’s work has consistently delved deeper into the timelessness of building “good and elegant human settlements” with new chapters (The Architectural Tuning of Settlements) assembled upon the old (Aspects of Modernity). And, his steady, reliable, dependable and honest focus on shaping our buildings, neighborhoods and towns towards an architecture and urbanism that are simply beautiful is to be celebrated with the reading of Leon Krier’s new book. Finally, after more than three and a half years, one of the key New Urbanist efforts in the wake of Hurricane Katrina on the Mississippi Gulf Coast is beginning to grow legs. And perhaps more importantly, the models being created have implications for affordable housing everywhere. (In the interest of full disclosure: I’ve been a consultant on various Katrina Cottage projects, including the Cottage Square effort covered below. Also: Fellow PlaceMaker Scott Doyon and I revisited lessons-learned since the Mississippi Renewal Forum with our 2008 update of the official charrette website). The Katrina Cottage movement, born during the Renewal Forum in Biloxi in October of 2005, put forward a series of designs for affordable, storm-worthy structures small in scale but beautifully proportioned and in keeping with the Mississippi coastal vernacular. 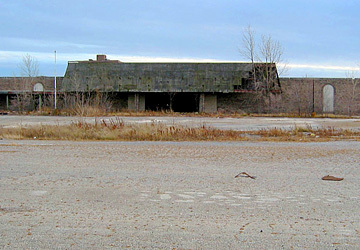 The idea was to offer emergency housing designed and built so well that they could transition to permanent dwellings, as opposed to FEMA trailers that often ended up in landfills. Read about the history of the KC effort here. Because of its mandate to focus on emergency management issues and not permanent housing, FEMA resisted investing directly in Katrina Cottages but was nudged into an alternative housing experiment because of pressure from the politically influential Mississippi Congressional delegation. Louisiana, which lost even more homes during the flooding aftermath of Katrina than Mississippi lost in the storm surge, got part of the appropriation, as well. And the two states pursued separate tracks for creating cottages inspired by the work of the Forum architects. Mississippi designed its own Mississippi Cottages and contracted manufactured housing companies to build them. And while the designs didn’t measure up to the standards set by the Forum architectural team, they came close enough to be embraced by folks desperate to escape from FEMA trailers and to appear capable of taking the next step envisioned by New Urbanist designers in 2005: Transitioning to permanent dwellings in existing neighborhoods and serving as building blocks for cottage clusters in new projects. What stalled the transition was resistance from citizens who were stuck in the perception that anything made in a factory was a mobile home. So they pressured planning commissions and local officials to keep the cottages out, even, ironically, out of neighborhoods zoned for mobile home parks. In its April 2009 issue, Governing magazine lays out the debate and features one of the reasons the tide is changing: Bruce Tolar’s Cottage Square. Tolar, an Ocean Springs, MS, architect, was on the original MRF architectural team and took to heart Andres Duany’s admonition to create model Katrina Cottage neighborhoods. The Cottage Square, created by a development team Tolar assembled, is a transit-oriented, mixed-use infill project on two acres a half-mile from Ocean Springs’ historic downtown. The site is home to six Katrina Cottages, including the first one, Marianne Cusato’s “little yellow house” that was such a big hit at the 2006 International Builders Show. And now it also has eight of the state’s Mississippi Cottages permanently set on foundations, massaged into neighborhood friendliness by Tolar’s building crews, and rented to locals displaced by Katrina. Go here to see how the Mississippi Cottages were wedged into Cottage Square in time for the third anniversary of the storm last year. Increasingly, they’re getting it. The architect is now working with non-profits, local governments, and private developers to place as many as 200 cottage units in site-planned neighborhoods over the next six months. Some of the sites are likely to contain three or four times the number of units as Cottage Square and may inspire, at long last, an acceleration in the manufacture and on-site construction of safe, affordable housing in neighborhoods built back better than they were before the storm. Tolar is also getting attention beyond the storm zone. A visiting group from MIT was by recently, and the affordable housing non-profits like Enterprise are spreading the word about potential adaptations of the Cottage Square model for other communities. In the area of the New Austerity, living small and smart could catch on in a big way. As 21st century crises and concerns began stacking up, it had begun to look as if Smart Growth priorities were going to have to compete for attention and resources with other burning issues. Such as: Climate change, peak oil, community affordability, health care costs, and now the struggling global economy. 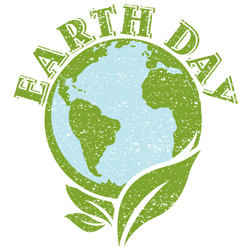 But on the 40th anniversary of Earth Day, April 22, it was impossible not to notice how these apparently parallel concerns are beginning to overlap. Which is good news for a movement like New Urbanism that assumes the interdependence of challenges and opportunities and promotes comprehensive solutions. The explosion of green building interest in the private sector. Best example: The ever-multiplying territory of Greener World Media, Inc., which operates www.greenbiz.com and other sites linking business with green building, climate change, and other environmental issues once considered the domain of environmental wonks. Because they’re aimed at the ROI crowd, the company’s websites, surveys, research, and newsletters have a no nonsense feel that is likely to significantly advance the green discussion with economic development types and others who aren’t sympathetic to warm and fuzzy arguments for environmental responsibility. The intersection of public health policy, environmental concerns, and urban planning. The overlap was always clear to many professionals working in the field, but now it’s beginning to feel embedded in the thinking of policy makers. By far the biggest stride towards connecting the dots is the EPA’s just-announced intention to consider regulating greenhouse gas emissions because of their threat to public health. The move is considered a nudge to Congress to act before the Executive Branch writes the regs. So the battle is joined. Also: Consider this video of Dr. Howard Frumkin, national director of the Centers for Disease Control’s National Center for Environmental Health, Agency for Toxic Substances and Disease Registry. Dr. Frumkin appeared before architects and planners at the National Building Museum, using part of his time to caution them against making scientific-like claims for community design without the backing of sound scientific research. Yet most of the presentation feels like a New Urbanist guide to creating and sustaining compact, walkable communities. A source for research into opportunities for addressing obesity with neighborhood design. And a recent New York Times column on social netwoks and community health. Will Florida put the “suburban retrofitting” movement on the fast track? Making it easier to do something about this. In an appendix, the document even provides a list of 48 enclosed shopping malls that may be ripe for retrofitting. The effort, says DPZ principal Galina Tahchieva, “is about stirring ideas about how to incentivize the private sector through easier permitting and infrastructure funding.” And the hope, of course, is that other states embrace similar initiatives. “The repair, retrofit, and repurposing of commercial nodes — these malls and shopping centers — should be the first in a number of sprawl interventions,” says Tahchieva. That’s because they promise maximum bang for the investment buck. Tahchieva headed a DPZ design team that, during a February charrette in Atlanta, explored design alternatives for an out-of-date mall in the city’s northern ‘burbs. See our coverage here. The broader retrofitting initiative is already influencing form-based coding efforts. The Center for Applied Transect Studies is working on a SmartCode module for suburban retrofitting – and, incidentally, for the emerging “agricultural urbanism” movement. See CATS’s new modules here. Watching Andres Duany go through images at the final presentation of the Lifelong Communities charrette in Atlanta, it quickly became clear how many of the goals of the ambitious planning effort could be lumped under one category: retrofitting suburbia. “In one way or another,” said DPZ principal Galina Tahchieva, “all of the interventions we suggested were suburban retrofits.” They involved connecting street networks, creating town or neighborhood centers, “completing” neighborhoods with the missing components of mixed-use, and providing for transit interconnections. Emerging evidence suggests the retrofitting phenomenon is going to grow in importance. Credit Georgia Tech School of Architecture director Ellen Dunham-Jones and City College of New York/CUNY professor June Williamson for getting out a book that explains it all. The retrofitting movement is likely to benefit by a broader trend of redevelopment in close-in neighborhoods, including central city neighborhoods. Read about the EPA’s most recent research in the trend here. At the Atlanta charrette, Tahchieva oversaw DPZ’s ideas for bringing new life to Gwinnett Place Mall in the northeastern suburbs. Expanding the study area to adjacent strip malls and offices, DPZ created three designs for a site totaling 900 acres. It’s a big enough parcel to accommodate something like a third of the projected growth of the county over the next 20 years, provided the declining single-use mall converts to an urbanized, mixed-use community with a town center. Tahchieva, Duany, and the authors of Retrofitting Suburbia make the case for malls as ideal places for second chances at urbanism on the metro edge. They are often large enough to make walkable mixed use viable; they have intact infrastructure; already sited at key transportation cross-roads, they connect easily to transit; and they are typically owned by one entity, which streamlines the planning and entitlement process. Atlanta’s landmark charrette on planning for “Lifelong Communities” wrapped on February 17, with an Andres Duany presentation to a downtown auditorium packed with some 500 people. A crowd of nearly 500 gathers for the closing presentation of the ARC's Lifelong Communities charrette. See her introductory remarks and Duany’s opening presentation here. During the week, Duany’s DPZ team expanded the borders of their assigned model projects in five Metro locations and added a sixth, a retrofitted town center for a dying suburban mall. The core strategy was New Urbanism 101, “completing” neighborhoods with street connections, parks and plazas, and provision for node-to-node transit links. The idea, Duany told his audience, is to reassemble the fabric of community scattered by suburban planning and coding and give back to residents of all ages and incomes the full range of choices that make for quality of life. Ben Brown, up close and technological with Andres Duany. What gave the DPZ/ARC/AARP charrette its distinction was in the way Duany’s team turned talk about the convergence of livability principles into actual plans for implementing them in actual places. The first days of the Atlanta charrette were devoted to hearing from experts not only on design, planning, and coding, but also specialists in public health, physical accessibility, aging issues, and demography. For a day-by-day report on those presentations, go here. There’s likely to be a growing sense of urgency for addressing aging in place. The graying of the Boomer generation will assure that. Already signs of nervousness are emerging among older Americans in existing neighborhoods. In a recent survey by Pew Research Center Social & Demographic Trends, researchers found people generally satisfied with the places in which they lived. But the demographic category most likely to register dissatisfaction was the senior demo. The effort to fit so many priorities into unified approaches was not without conflict. Pressed for time and space, the Atlanta Regional Commission and DPZ restricted studio access and risked alienating those who saw proposals sketched for their neighborhoods without their participation. Atlanta-area urban planner Don Broussard was among those who were bothered by at least some of the ideas he saw. “The prototype dwellings for the elderly displayed by Andrés showed great merit,” said Broussard. “Also, the plans for at least three of the six charrette sites (Mabelton, Conyers, and Gwinnett Place Mall) provoked little controversy, since they create little if any potential for displacement of existing residential neighborhoods. The new thoroughfares planned by DPZ for the towns of Mabelton and Conyers could be accomplished under existing subdivision laws gradually over time and therefore involve willing sellers or owners of private lands desiring to redevelop. In contrast, Williamsburg [ed: the DeKalb site at Toco Hill] involves elderly renters at the mercy of a single landlord who wants to redevelop now. “How can a plan that wipes out hundreds of affordable apartments in a decent landscape accommodate ‘aging in place’? It can’t,” said Broussard. In his final presentation, Duany answered critics by acknowledging the limitations of a format designed to turn out provocative concepts in record time. While the proposals provide realistic options for real places, said Duany, they were created without consideration for the broader context best accommodated in an entirely open charrette. “If you want us to take these ideas to the next level,” he said, “we would want to come back and do real charrettes,” with residents in attendance. And if adopted plans displaced residents, he added, “there must be a way of returning them to the community” when it’s redeveloped. Check back here often. We’ll continue to follow news on the integration of aging in place with neighborhood planning around the country. And let us know about how your community or your project addresses the aging of the population. Email us at ben(at)placemakers.com. The New Urbanist mantra for neighborhood planning is to go for compact, connected, and complete. Well, one critical component of completeness, that of making communities comfortable – and practical – for residents of all ages, has been sort of assumed by NU planners. Yet it’s taken an effort by the nation’s primary advocacy group for seniors, AARP, to make the idea of “Livable Communities” for aging in place a planning priority. Can community design impact one's ability to age in place? The ARC is examining how. Integrating that priority into master planning for real places is getting its first major test with a Lifelong Communities Charrette in Atlanta, Feb. 9-17. The Atlanta Regional Commission (ARC), which coordinates planning for the 10-county metro region, is behind the project, with AARP as one of its partners. Duany Plater-Zyberk & Co. (DPZ), led by Andres Duany, will provide the design and planning expertise. Together they hope to make solid headway on an issue that will only loom larger moving forward. In 2008, the oldest members of the Baby Boom Generation became eligible for Social Security. The whole generation, 76 million strong, will have turned 70 by 2034. And if we’re not able to reverse the dominant trend of suburban sprawl and its near exclusive reliance on automobiles for mobility, we will make aging gracefully at home in America difficult for even well-off seniors and all but impossible for the majority of older people. Flunking the aging-in-place test not only means an increased burden for family care-givers and public programs (and therefore tax-payers); it also means the loss of good neighbors and productive citizens who could live independently longer in their own homes and neighborhoods if their communities planned for walkability, diverse housing choices, and mixed-use. In addition to AARP, healthcare and public safety experts have been connecting the housing issue with aging in place challenges for most of the last decade. You can read working papers from Harvard’s Joint Center for Housing Studies here. Included among those papers is one on “Aging in Place: Coordinating Housing and Health Care Provision for America’s Growing Elderly Population” by Kathryn Lawler, who’s one of the planners of the Atlanta Regional Commission project. We’ll follow the ARC/DPZ charrette in blog posts to follow. In the meantime, care to shake this story up a little? Then share your comments below. Will Economic Woes Stall the Green Movement? When we got a note from colleagues in Chattanooga, Tennessee, letting us know that that their city had not only crafted a Climate Action Plan but was also set to create a new office of sustainability, it got us to thinking: Is the competition for funding in the deepening recession going to kill momentum for this sort of focused effort for green planning and building? When the Chattanooga mayor signed the U.S. Conference of Mayors Climate Protection Agreement in 2006, committing to planning for lower carbon emissions, there were 235 signatories to the Agreement. Now there are more than 800. That’s good news for keeping the green going, right? Designer/Planner Doug Farr’s Sustainable Urbanism: Urban Design with Nature has gone into multiple printings and is already used as a guiding text for design seminars. Doug has also developed a sustainability module for the form-based SmartCode. “Global Green Building Trends: Market Growth and Perspectives from Around the World,” a 2008 survey by McGraw-Hill Construction Analytics, reported high expectations for green from worldwide construction pros. A majority predicted that at least 60 percent of their projects over the next five years would focus on green building. Eighty-five percent of the firms said they expected rapid or steady growth in sales and profit levels associated with green building. Solar power, already in use by 52 percent of the firms, is expected to be used by more than 75 percent in five years, Wind power is expected to be in use by 57 percent of the firms by 2013, compared to 20 percent in 2008. And geothermal power is expected to double in use from 2008 levels to 45 percent in 2013. Across the Atlantic, the Prince’s Foundation for the Built Environment hosted a November, 2008, summit that “brought together a cross section of industries that see ‘smart growth’ as the way to a sustainable future. A line up of leading figures from property investment, insurance and sustainable development industries guided the debate.” Their presentations have just been posted here. “Just Building Sprawl” is Over, But How? When President Obama declared, before an audience in Ft. Myers, Florida, on Feb. 10, an end to “just building sprawl forever” (fast-forward to around 58:58 for the money quote), it may have signaled a change of venue in the battle over how the stimulus package is interpreted and applied. President Obama addresses residents of Ft. Myers, Florida, declaring "The days where we're just building sprawl forever, those days are over." Up until Obama left Washington for town meetings in Florida and Indiana, the debate seemed paralyzed by partisan politics at the national level. Democrats and Republicans retreated to familiar corners, debating the effectiveness of tax cuts vs. spending initiatives as if the issues were purely academic. The national media, as usual, were captivated by the food fight. By changing the stage for the debate from the floors of Congress to communities already hard-hit by the recession, Obama was able to bring back into focus the sense of urgency for action and likely targets for effective stimulus funding. The American Society of Civil Engineers had already done some of the homework for Obama, giving a grade of “D” to the nation’s infrastructure and calling for $2.2 trillion in repairs and upgrades over the next five years. And even if Obama had not taken to the road, bottom-up politics was likely to overwhelm Congress before long. See this February 8 Chicago Tribune story suggesting a growing tension between conservative elected leaders and their constituents over the need for immediate investment in communities. City, county, and state governments were not likely to sit on the sidelines for long, either (note Florida’s Republican Gov. Charlie Crist standing on the dais next to Obama in the Ft. Myers video). In the short term, government spending at all levels is likely to be the source of most new investment. So the faster funds begin moving out of Washington, the better. A recent conference hosted by Governing magazine on the “Outlook in the States and Localities” was full of sobering presentations about spending cuts and lay-offs. According to a survey by the National Association of Counties, 91 percent of those polled said they were cutting spending, and 64 percent predicted lay-offs. A similar survey by the National Conference of State Legislatures suggested 40 states have budget gaps in the current fiscal year and 24 are already predicting shortfalls in 2010. The signal Obama sent with his end-of-sprawl message in Ft. Meyers is likely to be welcomed by counties and municipalities, many of which have Smart Growth vision plans in place and have a pretty good idea how to use economic stimulus money. With transportation planning at the center of the infrastructure debate, here’s a good place to watch how the process plays out: www.t4america.org. Also, The Alliance for Innovation, a public-sector collaboration that includes the International City/County Management Association, is monitoring 11 municipalities and how they’re coping with the current economic environment. The group is producing a wiki report called Navigating the Fiscal Crisis: Strategies for Local Leaders. Much of the advice, taken from lessons learned in other downturns, is about resisting the temptation to sacrifice long-term strategic goals for short-term savings.